Back to school is just around the corner, so I thought I would make a few gift tags for my son's teachers this coming year. 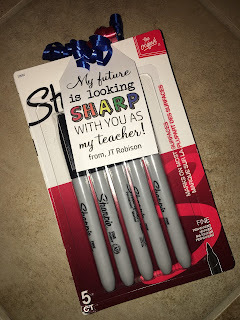 I was able to score some great pens and sharpie markers during Office Depot's yearly back to school sales. 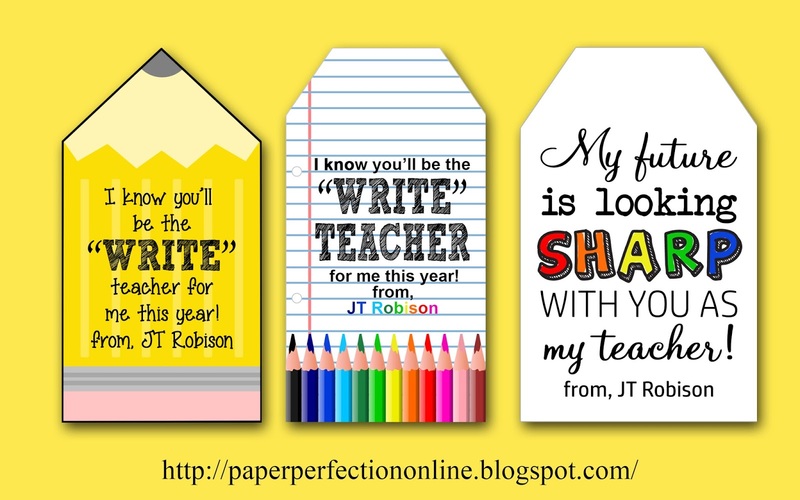 Here are the tags I created for pens, pencils, sharpie markers, and scissors. 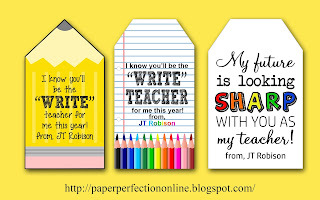 If you need a tag or two for your child's teacher, contact me at jtanddolly@yahoo.com for pricing and details. 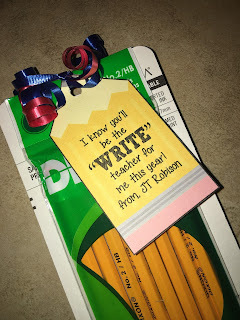 And here they are ready to go as gifts for my son's teacher for "Meet the Teacher Night" at school.